How Common Is It To Get A Root Canal? 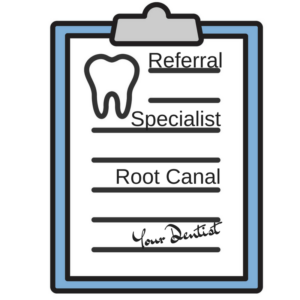 If your general dentist has recommended that you call an endodontic provider about having a root canal performed, you’re far from alone. The American Association of Endodontists reports that more than 15 million root canals are performed every year – that’s more than 41,000 root canals per DAY. 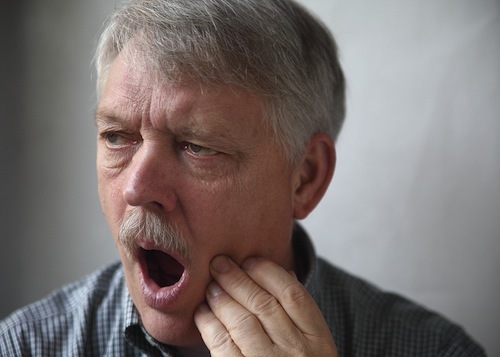 Why is this procedure done so often to treat an injured or infected natural tooth? There are several reasons why root canals have become a treatment of choice. Why Is A Root Canal Being Recommended For Me? Your dentist or endodontist has determined your natural tooth can be saved. With more than three-quarters of all Americans indicating a preference for saving a tooth over replacing it with an implant, your provider will likely lean in the direction of seeing if salvaging the tooth is possible with a root canal treatment. Root canal success rates are comparable with those of dental implants. In both situations, the treatments are successful more than 90 percent of the time. Modern root canals are safe, effective and cause little discomfort. Many times, patients come to an endodontist with an infected tooth that has damaged tissues that are causing discomfort. A root canal actually alleviates this discomfort, rather than causing more. Most patients experience about as much discomfort during a root canal as they would getting a cavity filled. Nothing can replace the look or function of a natural tooth. Artificial restorations such as dental implants have their advantages, but retaining a natural tooth through a root canal can ensure the tooth stays in your mouth for a lifetime. Why Did My Dentist Refer Me to an Endodontist? Many of us love a good mystery novel or television show, but few people enjoy mysteries that revolve around our teeth. If you went to your general dentist to resolve a nagging dental issue, you may be wondering why he or she sent you to an endodontist for further examination and treatment. Endodontists are dental specialists who focus on treating diseases of the dental pulp. They are experts in restoring infected or injured natural teeth to health. The procedures that they perform for patients also make them quite knowledgeable about reducing and eliminating dental pain. If your dentist has referred you to an endodontist, here are some of the most common reasons he or she may have done so. Your dentist suspects that you need a root canal. If you have the symptoms of infected tooth pulp, your dentist will most likely want the endodontist to conduct an examination and potentially perform a root canal. Your dentist may want to have the endodontist examine a previous root canal. Root canal treatments, when followed by the addition of a dental crown on top, have success rates that exceed 90 percent. But root canals can fail, and when they do, an endodontist is the professional most experienced in performing a root canal retreatment. You may have a cracked tooth. Teeth cracks can let in bacterial infection that can damage the tooth’s pulp. In many cases, root canals performed by an endodontist are the only thing that can preserve a natural tooth that has suffered a crack. You may need an apicoectomy. If a previous root canal has failed, the damaged tooth may need an apicoectomy, which fills and seals the root tip of the tooth from the root end of the tooth (rather than from the crown end of the tooth, as in a typical root canal). Endodontists are fond of emphasizing that endodontic therapies such as root canals preserve your natural teeth, allowing you to chew, speak and eat without the downsides that come with dentures or other forms of dental restorations. Most current endodontic therapy preserves the outside of a natural tooth by placing a crown over it, while replacing the failing nerve and pulp in the canals with the latex filling gutta-percha. However, one of the most exciting developments in professional endodontics in the past generation has been research into regenerative endodontic therapy. Instead of replacing the nerve pulp with an inert substance, this groundbreaking treatment creates and delivers healthy living tissue to replace diseased, missing or traumatized pulp. Endodontists who are at the forefront of this research combine their knowledge of pulp biology, the proper care of dental trauma, and tissue engineering to accomplish this task. The body’s own existing cells or bioactive materials are inserted in the pulp chamber to stimulate regrowth. A related procedure, apexification, employs similar methods to grow a dentin-like substance over the apex (tip) of the tooth root, in order to improve the chances of a traditional root canal treatment succeeding when the death of the pulp in a developing adult tooth has left an open apex. While this technique is still evolving, endodontists are following the progress of its development with great interest. Like most health-enhancing procedures, the technologies and techniques used to provide root canals have been steadily advancing, especially over the past few decades. Today’s root canal procedure is considerably easier on patients than it was in the 1980s, or even the 1990s. Something that may surprise you, however, is that root canals have been around for well over a century. 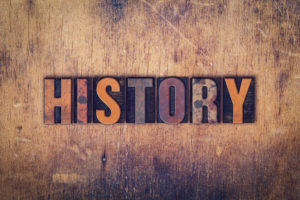 Here’s a brief list of historical milestones related to root canal procedures, to foster appreciation for how they have developed. 1728 – Pierre Fauchard, a French physician regarded as the father of modern dentistry, authors the book “Le chirurgien dentiste,” which describes the existence of dental pulp. 1838 – American Edwin Maynard creates the first root canal instrument, which he fashions from a watch spring. 1847 – Gutta-percha is introduced as a material for filling dental canals. 1890s – Crowns are becoming increasingly popular as a dental restoration. Many require canal posts, which increases interest in endodontic treatments such as root canals. 1900 – The emerging imaging technology of X-rays is identified as an important tool for diagnosing tooth root problems. 1943 – The American Association of Endodontics is established to facilitate professional practice in this specialty. 1950s – After a half-century of controversy, research establishes that natural teeth needing root canals do not cause systemic health problems, leading to a renewed interest in endodontics. 1990s to the present – Endodontic root canal treatments receive an upgrade due to improved imaging techniques, the advent of rotary nickel-titanium files to clean canals, and use of new irrigating solutions. The main cause of gingivitis is dental plaque. In fact, dental plaque is the root of many oral health problems. If not removed regularly, plaque can accumulate between your teeth and around the gums. If you have gingivitis, you can normally restore your gum and oral health through improved teeth cleaning. 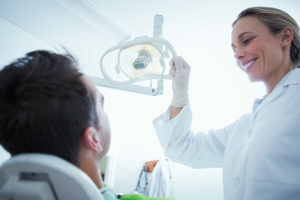 The American Dental Association emphasizes the importance of “brushing your teeth twice a day, cleaning between your teeth daily, eating a healthy diet, and scheduling regular dental visits.” Even if you are diagnosed with gum disease, your dentist can design a treatment plan that includes professional cleaning to help you maintain good oral health. Oral health is as equally important as physical health and must be cared for regularly. Consult your dentist right away if you suspect you have a problem. Gum disease is preventable and our team of dental experts can give you the care you need. To learn more about our services, or to schedule an appointment at Phoenix Endodontic Group, please call (602) 748-4190, or visit our website. 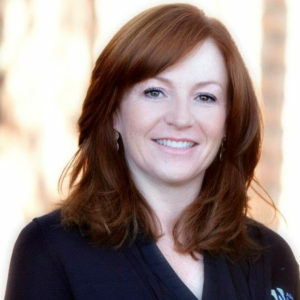 In 2001, Dr. Jacqueline S. Allen founded Phoenix Endodontic Group. Our firm has grown tremendously over the past decade and a half. Our office expanded to Paradise Valley in 2008 and, in 2014, Dr. Susan L. Wood joined Phoenix Endodontic Group as a partner. Over the last 16 years we have seen a lot of changes in the dental profession, technology and patient expectations. While flexibility is necessary when handling endodontic cases in today’s environment, it is equally important to stay true to the core values. Our core values are what brought Phoenix Endodontic Group so much success over the years. 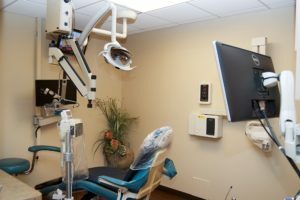 State of the Art: At Phoenix Endodontic Group, we constantly invest in new technologies to keep ourselves on the cutting edge of endodontic therapy. Additionally, Dr. Allen and Dr. Wood spend a considerable amount of time continuing their education in the endodontic field. Both doctors believe strongly in learning and understanding the latest theories and techniques in the field of endodontics. Best in Class Care: Our team is focused on making sure you receive the best care. From appointment scheduling, insurance billing and post treatment care we are there to serve our patients and referring offices. Our goal is to make sure that every patient is “delighted” by the service and care provided by Phoenix Endodontic Group. At Phoenix Endodontic Group, we feel that doing all of the “little things” correctly and attention to detail are two things that separate us from other endodontic dental offices. We are proud of our successes and our team’s dedication to providing top care for our patients. These first 16 years have gone by quickly and we look forward to the next 16 years with the same philosophy and commitment to excellence! Meet Sarah Apostolakis. She is one of our many talented dental assistants that we have here to assist during procedures at the Phoenix Endodontic Group. Sarah has experience in periodontics, oral surgery, and general dentistry. She is a very active, outdoorsy person and is passionate about coming into work every day. She is great with caring for our patients and wanting them to get the best out of their experience here at the Phoenix Endodontic Group. She has great tips and advice for our patients about helping to improve oral health. What do you find most rewarding about being a dental assistant? What I find most rewarding about being a dental assistant is changing someone’s fear of going to the dentist. My goal is to give every patient the best experience I can provide and to remove their fear of coming back. What is the biggest piece of advice you have for patients to ensure good oral health? The best advice I can give is – floss the teeth you want to keep! There are a lot of individuals and research that say electric toothbrushes are better. Do you agree and why? My opinion on electric toothbrushes is they can be a good tool if used properly. I always recommend using a soft bristled head to prevent damaging the gums and tooth. The best technique is to brush in small soft circles. I knew I wanted to be in the dental field since I was a kid. Going to the dentist was a fun experience for me. What advice would you give people that are afraid of or dislike dental treatment? What would you say to ease those fears? Most people’s fear of the dentist stems from a bad experience they had or heard of. It can be difficult to relax in a situation you feel a lack of knowledge or control. That is why I think communicating with the patient is so important. I like to assure we will not start until they are ready and comfortable and talk them through the procedure so they are informed about what is going on. What is your favorite part of working with Dr. Allen? My favorite part of working with Dr. Allen is how relatable and compassionate she is with her patients. Dr. Allen has undergone a lot of dental work herself which has given her empathy and understanding on what it is like to be in the chair. She treats every patient how she would want to be treated. When you are seeing patients, what is the most common problem you see with their dental health or general dental care? The most common problem I see in dental health is gum disease. Tartar and plaque build up under the gums and in between the teeth that can only be removed properly by a hygienist. It is easy to fall out of the habit of flossing and getting your teeth cleaned twice a year with our busy lives but it’s important for your oral health to make time. 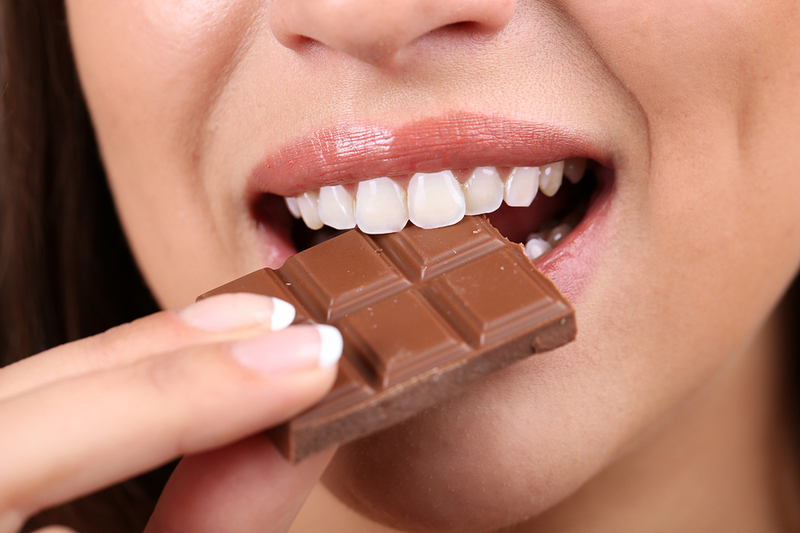 Since one’s diet is said to influence their dental health, do you have any diet recommendations? Diet does directly influence dental health. Acidic and sugary foods are the most harmful to the teeth. I love candy and oranges and eat them all the time but I always try to rinse my mouth out after. That way I do not leave an acidic or sugary environment in my mouth which can be harmful to my teeth and gums. Do you have a favorite dental brand or product that you use at home? My favorite dental brand is Colgate. I have never had issues with their products, but any toothpaste with fluoride and mouthwash without alcohol will work. Take your oral health to the next the level with Sarah’s simple tips and tricks. 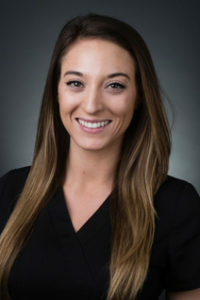 Giving advice and making every patient feel comfortable when they come in for a procedure is why Sarah is a prized dental assistant at the Phoenix Endodontic Group. Make sure to keep your smile bright and healthy by visiting Phoenix Endodontic Group. When a tooth becomes infected, a root canal is often the treatment of choice to save it. Root canals have a very high success rate; however, sometimes challenges develop after the treatment that can indicate that the healing process is not proceeding as it should. Dr. Susan Wood, who also practices with the Phoenix Endodontic Group, discussed several reasons that improper healing can occur after a root canal. After your root canal treatment, you will partner with your endodontist and/or dentist to be on alert for symptoms of two conditions that can signal improper healing is occuring: inflammation and infection. Prolonged pain is a key indicator of improper root canal healing, with or without swelling. If you experience pain that continues (or re-develops) after the first few days after your root canal treatment, contact your endodontist immediately. 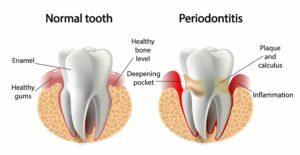 Other post-treatment symptoms that should prompt a call to the endodontist include a visible swelling inside or outside of your mouth, your bite feeling uneven, an allergic reaction (hives, rash, itching) to any medication you’re prescribed, or a return of the symptoms that led to the root canal being performed in the first place. A day in the life of your Phoenix Endodontic Group brings many different types of cases into the office. One common visitor who comes in for Dr. Susan Wood’s expertise is the candy connoisseur. You may know what too many sweets can do to your waistline, but do you know what effect it may have on your teeth? Sugar is a highly toxic substance to your tooth enamel and is present in many types of food and drinks. Soda, fruit juices, cookies and candy are all prime culprits that cause tooth decay, especially if allowed to linger in your mouth. Ingestion of sugar promotes the plaque that eats away at your teeth. A particularly bad type of sweet is sticky candy. Soft sticky candies often get caught between the teeth and if you aren’t a good flosser, can cause cavities in that area, says Dr. Wood. Another dental problem could be caused by eating hard candy. Extremely hard candies that are “chewed” can also cause damage (cracks) to the tooth, explains Dr. Wood. This type of damage allows bacteria to invade the tooth and infect the inner pulp and root system. Eventually a problem of this nature may require your endodontist to perform a root canal. If you are going to consume hard candies, avoid biting or chewing them, especially with your more vulnerable front teeth. As well-intentioned as patients are in their desires to follow a healthy diet and practice good dental habits, no one is perfect in either arena. If you are going to enjoy a sugary snack, then always attempt to brush afterward. If that is not possible, then rinsing your mouth out with water can help, but minimally, states Dr. Wood. Be as diligent as possible in flossing after sticky treats. Sugar is acceptable in moderation, especially if you practice good dental habits when you eat sweets. However, it is far more common that it will cause problems with your teeth. If you are a lover of these kinds of treats, talk to Dr. Wood, your Phoenix endodontist, for advice on how to prevent dental damage.